UNITED NATIONS, New York – In the wake of the migration crisis and other humanitarian emergencies, women and girls are experiencing unconscionable trauma. Gender-based violence – including child marriage and forced pregnancy – exploitation, and trafficking often escalate during conflict, threatening the lives and well-being of women and girls around the world. Maleka Ali was pregnant when violence descended on her home in Taizz, Yemen. Ms. Ali’s asthma put her baby, too, at risk of developing health problems. During conflict and other emergencies, sexual and reproductive health needs are often overlooked. As medical services become disrupted, pregnant women risk life-threatening complications, and women and girls lose access to family planning, exposing them to unwanted pregnancies in perilous conditions. In Yemen, an estimated 3 million women and girls of childbearing age are in acute need of protection and medical care. “We are displaced, we are dispersed. Our situation is not normal. We are impoverished. We suffer in every way,” Ms. Ali said. The trauma women and girls endure during conflict is often compounded by shame and stigma. 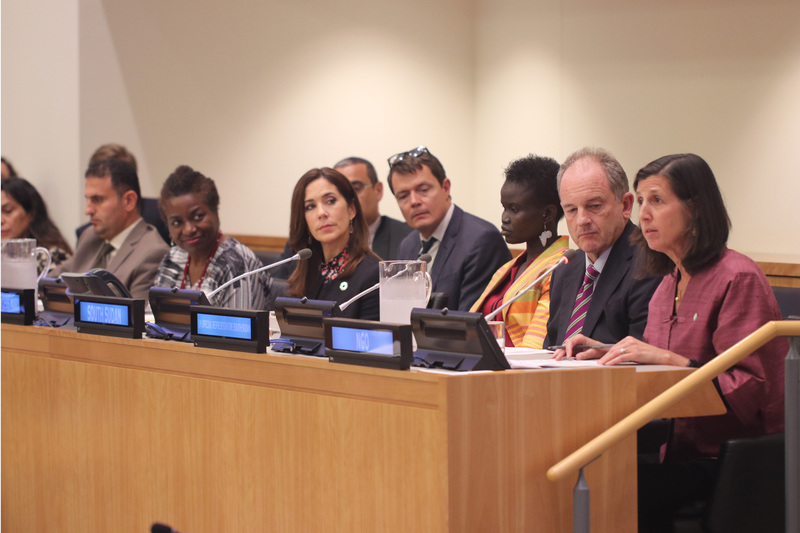 The UNFPA-led event, co-sponsored by Denmark, the European Union, South Sudan, the United Kingdom and Yemen, shone a spotlight on the plight of women and girls whose lives have been upended by conflict – particularly in South Sudan and Yemen, where humanitarian needs have surged. Four million people have been displaced by conflict in South Sudan. As the lead UN agency responding to gender-based violence in emergencies, UNFPA is working with the Government and other partners to support facilities that deliver gender-based-violence and sexual and reproductive health services to women and girls affected by conflict. In Juba, UNFPA is supporting the first one-stop centre for survivors of gender-based violence, which offers comprehensive services ranging from psychosocial to legal support – all under one roof. Since its establishment roughly eight months ago, the centre has supported nearly 400 women, girls and boys. It has also, through its legal services, aided in the prosecution of 32 gender-based violence cases: Two perpetrators have been convicted to date. 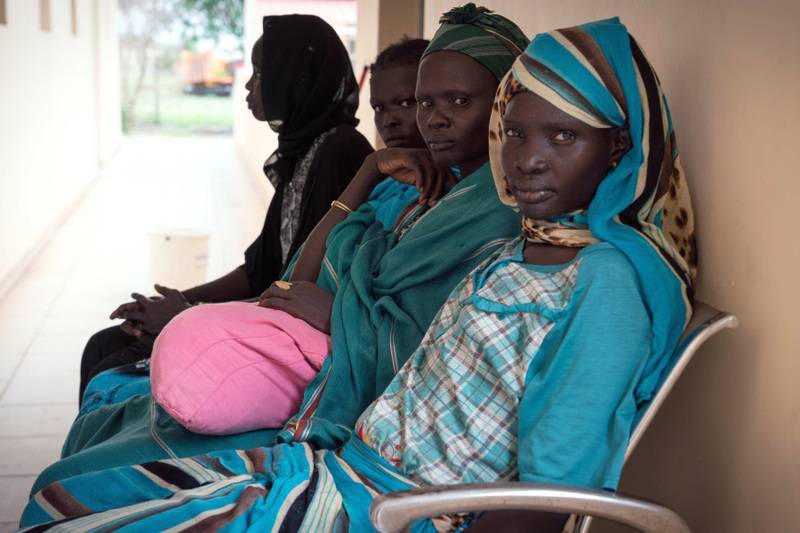 Underscoring the need to scale up and replicate services such as these, leaders at last week's event urged the international community to renew its commitment to protect the sexual and reproductive rights of women and girls – in South Sudan, Yemen and beyond. “This is about life-saving assistance. And it is about helping women and girls claim the fundamental right of deciding over their own bodies,” said Ulla Tørnæs, Minister for Development Cooperation of Denmark. The Government of Denmark and the European Union offered more than a commitment of words. They also committed to funding response efforts in South Sudan and Yemen that target the most vulnerable, including women and girls.